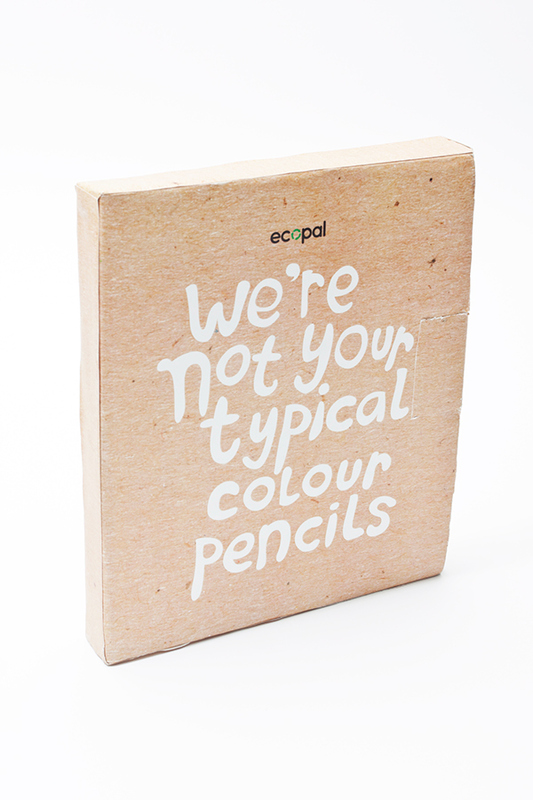 Ecopal is a self-made brand of wood-free colour pencils. 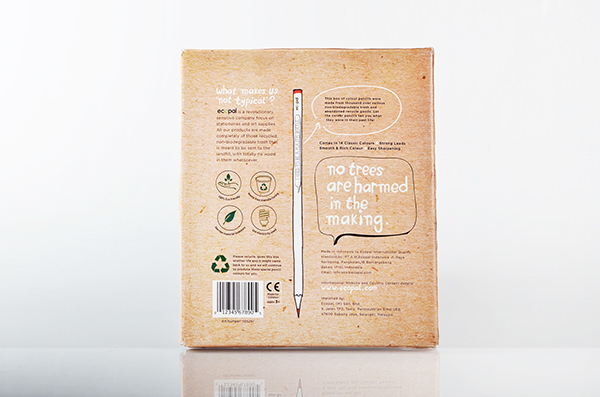 Wood free colour pencils come from thousands of non bio-degradable stuffs that are mean to be thrown away in the landfield. 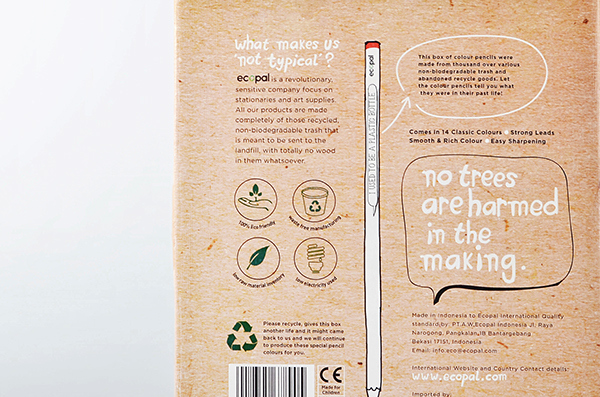 The whole packaging is designed so that it can tell stories to the buyer. 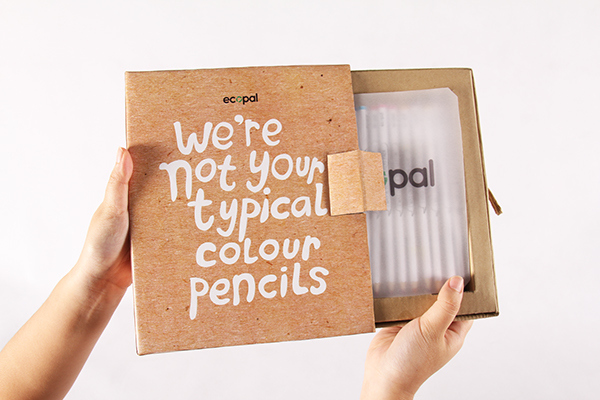 I make a full use of the packaging to tell the message; including the pencil itself. 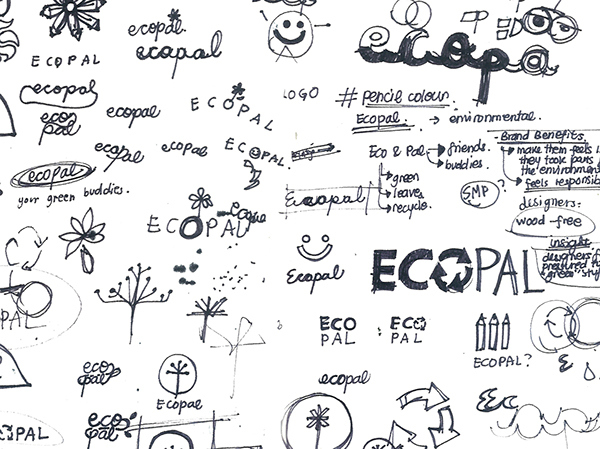 Inspired by food ingridients on the back of food packaging, each of the Ecopal's pencil colours has a story to tell about their past lives. 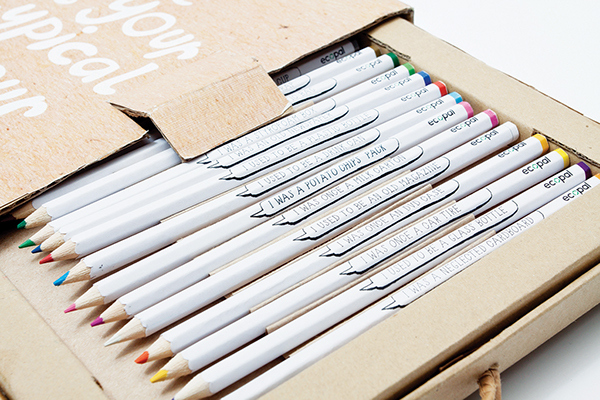 Self-made brand for wood-free colour pencil.